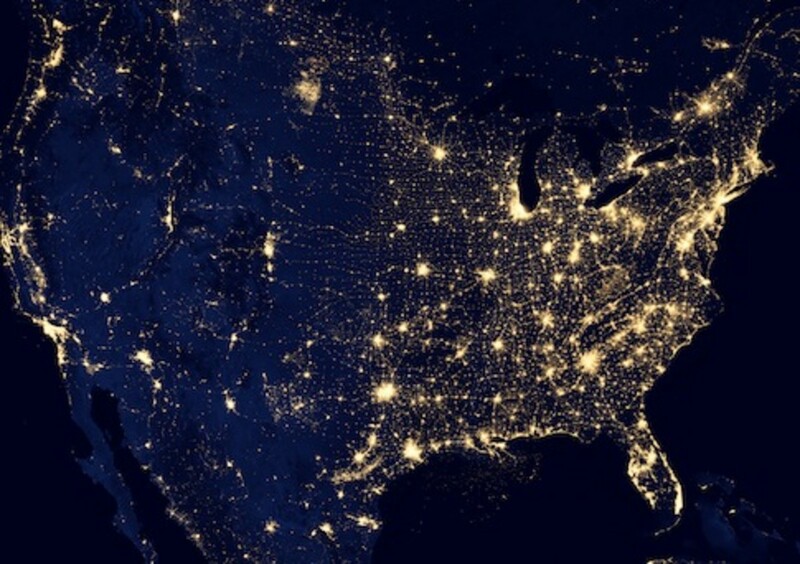 Nikola Tesla had a vision for the world wide distribution of power without wires as we see today. The basic principle of the wireless electrical distribution is diagrammed here. Geothermal power in the form of high pressure steam is ideal for turbines that already exist. There is nothing new here. This is proven technology. Solar panels or focusing mirrors in space can be built to harness the sun to make electricity that is then beamed to earth via microwave "lasers". We are not stuck with fossil fuels; there are alternatives. Alternative fuels as we see them are nothing new under the sun, having been used as far back in history as the 19th century. Some alternative even go back before the dawn of recorded history. Not even ethanol is new. "Corn squeezins" were used to run early cars that could use alcohol as fuel. There was even a steam powered car and compressed air was even considered. 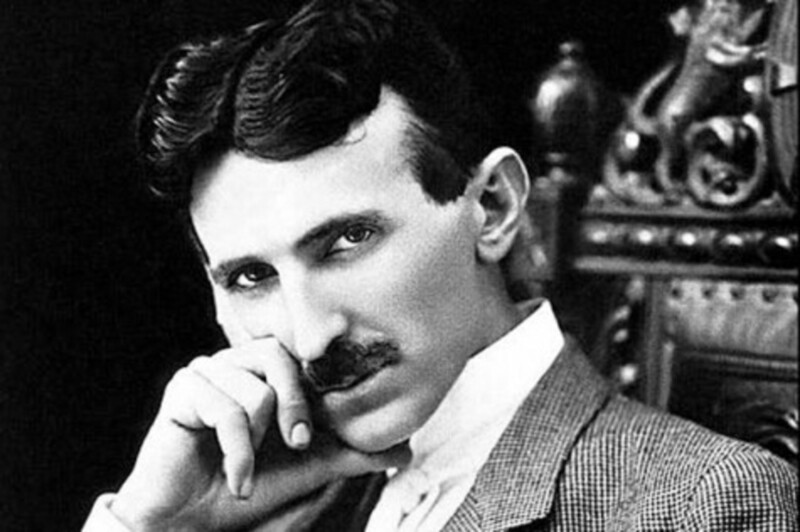 Proponents as influential as Nikola Tesla have developed the concept of alternative fuels though his was by way of wireless electrical power transmission. Tesla went one step further than most insofar as that he was able to demonstrate the powering of various technologies using remote fuels sources, where the fuel was not even on board mobile technology like ships, planes, trains, trucks and cars. 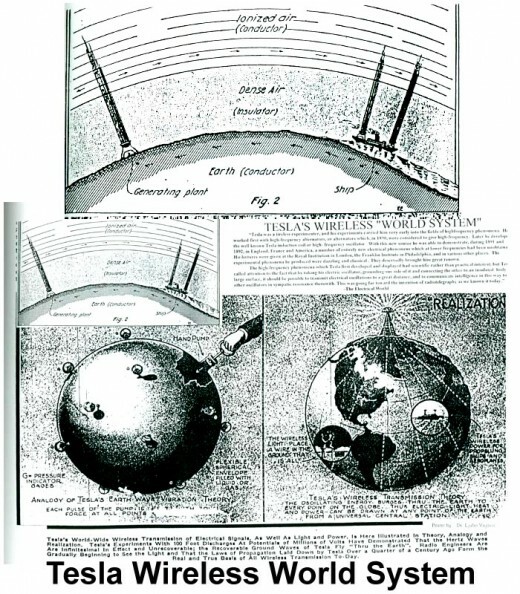 Nikola Tesla's concepts and patents of wireless transmission or energy allows for the use of cell phones today and his development of alternating current allowed for the modern profile of cities that we see, with sky scrapers reaching almost 1,000 meters into the sky. The planned tower to replace the ones downed in 9-11 of 2001 in New York, is to be 1,776 meters tall, commemorating in meters the year of the American Revolution. If it were not for alternating current, we would be stuck with the Edison direct current which can only be transmitted over short distances, limiting building heights to no more than five or six stories. The four most influential electrical power people of the 19th and 20th centuries were Edison, Tesla, Westinghouse and Morgan. Tesla was by far the greatest idea man, inventing and demonstrating the wireless transmission of large amounts or useable power as an alternative energy source. 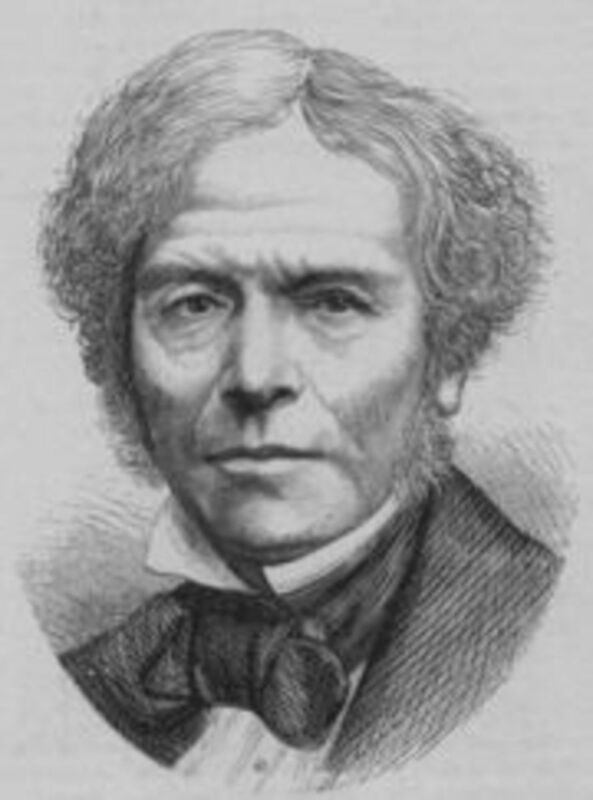 He is credited with over 700 patents. 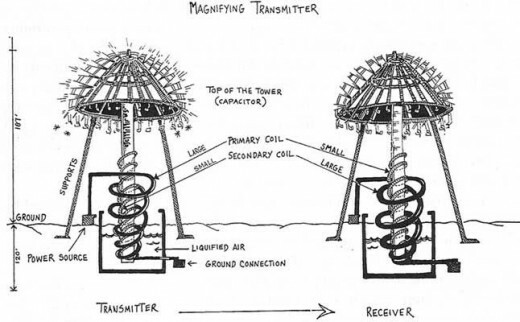 The patented Wardenclyff project in New York was the first in what was to be a series of transmission towers to project power to anything with appropriate receiving circuitry to convert the power into a useable form. This could be a household, a city, a ship, train, truck, air-plane or automobile. When J. P. Morgan realized what such a concept would mean as far as charging for wired power is concerned, he dropped his support and ordered the tower he sponsored financially to be torn down. Tesla ended up in dire poverty in his final years, ostracized and demonized in the community. Yet, as far as alternative fuels are concerned, few could top Nikola Tesla's contributions. That we do not use it today is more of a testament to greed past and present than of ignorance. The industrial revolution was built on steam long before the internal combustion engine existed in the numbers they exist today. The unfortunate thing about steam though is that it was often generated using coal, wood or oil. However, steam can be generated using solar or geothermal sources. 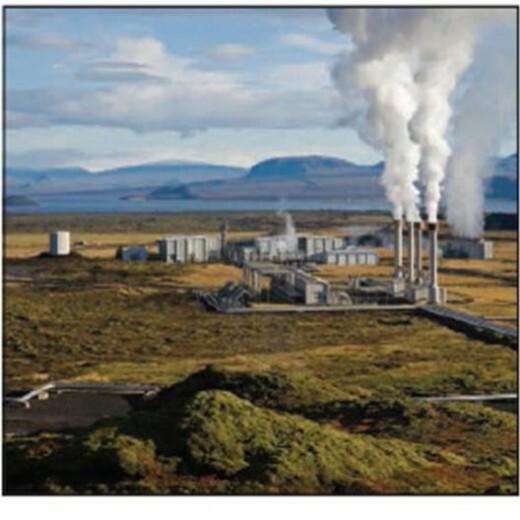 In fact some natural steam, such as in Iceland is entirely geothermal in origin. Iceland boasts a 40 percent dependency on geothermal energy, greater than any other country on the planet. On the other hand, Canada and the US, despite having vast reserves for geothermal energy, hardly exploit it at all, preferring to use fossil fuels, ethanol or nuclear sources. It would not be a great leap to tap into geothermal energy to run turbines to at least power and heat our cities. Great reserves of natural heat exists in the Rockies, Cascades and in Yellowstone Park. Solar energy was used for thousands of years by the First Nations and other so called primitive peoples to dry and preserve food and make salt, long before there was even any concept of refrigeration outside of a winter freeze. Solar energy can be captured to generate electricity efficiently for small electrical appliances like cell phones, MP3 players, portable game consoles, rechargeable flashlights and lighting. In some instances it is already being done, but it is far from universal. 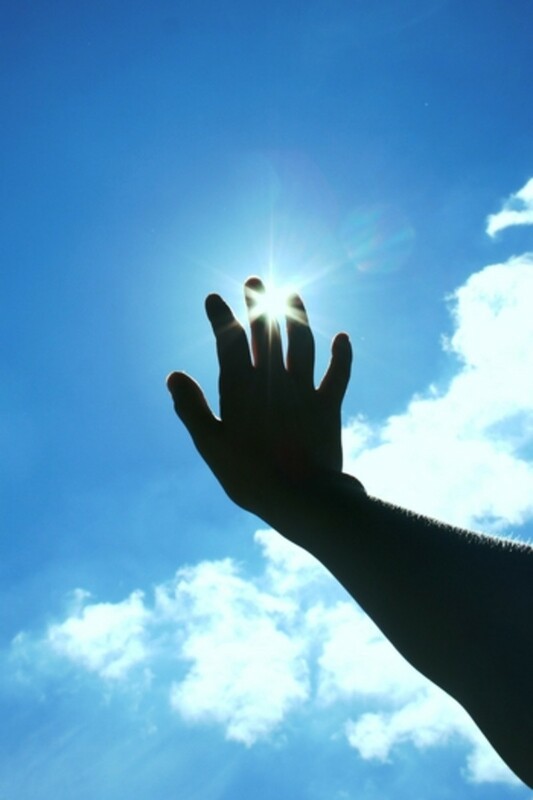 Solar energy can be collected to generate steam and this has been demonstrated experimentally and practically. Solar cells today are very efficient and many can be rolled up and carried in a back-pack to be unrolled and used where power collection and generation is needed. 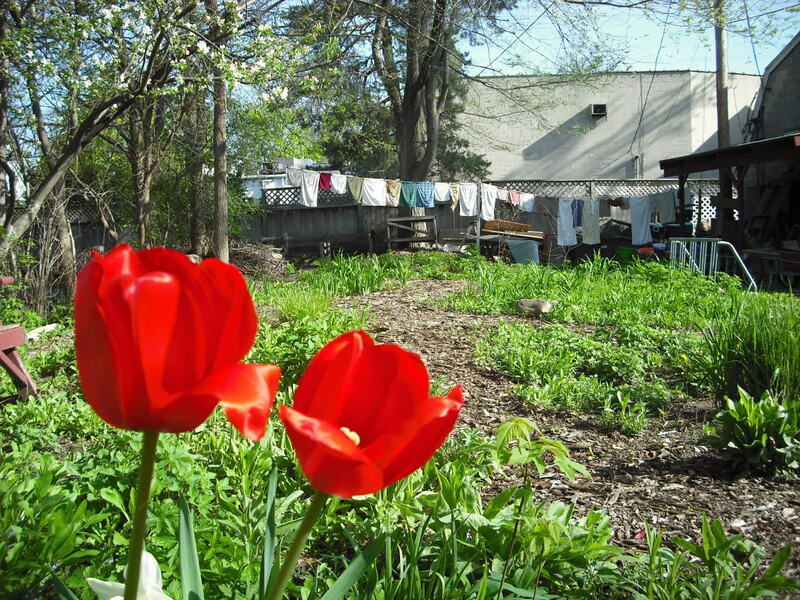 We can still dry and preserve food by the solar method, just as countless generations did before us. Parabolic solar reflectors can be used for cooking when there is plenty of bright sunshine available. It can even be done in winter in a sun facing window. There is absolutely no impact on the environment except for the tasty aroma of cooking food in the cooker as it is being prepared. Solar cookers can be home made or can be bought through various outlets on the internet or in camping supply stores. Wind energy alone cleared the lowlands of the Netherlands long before the advent of the electric motor and the internal combustion engine. The dutch who saw their land being inundated by slowly rising sea levels, took a proactive approach and built a massive dyke system around most of their fertile growing areas. To keep seeping water out of their farmlands, they harnessed the wind to clear the land of excess water and pumped it out to the ocean. The Dutch even extended their land holding seaward by the same method, reclaiming land that was once under water. They have been doing this for hundreds of years, proving the efficacy of such a system, to conduct a massive virtually country wide engineering project. Even when great sea storms breached the dykes and historically flooded the land, they rebuilt and cleared the land once more with wind power alone. Sadly, many of these windmills have been retired for more compact electrical pumps hooked into an electrical grid powered by fossil fuel or nuclear power plants in countries like France to the south. A combination of wind energy and electrical energy harvested from nothing more than the Earth's magnetism is an interesting approach to alternative fuel. A simple experiment with loops of wire and a sensitive volt meter prove that alternating current can be created by rotating the loops of wire in the geomagnetosphere. Scale this up and combine it with a windmill and useable power can be generated by harnessing the wind and the Earth's magnetism. These power systems can be made to a variety of sizes to power a single home or a neighbourhood in a city. No additional input is needed to obtain electrical energy. Couple with batteries, one can power anything from portable players to electric vehicles. As long as there have been people and seasonal variation that concentrated food production to a few months of the year, there has been an active program to preserve food for later use. This often means salting, solar drying or using of various spices to preserve food for later. This has been done since before recorded history and is still practices in areas where there is no practical refrigeration. We can still get sun dried jerky or sea weed snacks at the local supermarket that have no other input than solar drying. Sea salt so popular today with health food affectionados is strictly sun dried at the sea shore in vast flat drying paddies. Sun dried fruits, meats and seaweed make ideal back pack snacks for that back pack trip or picnic. If planed carefully, we need not use fossil fuels, ethanol made from corn or nuclear energy at all. Using geothermal, solar, wind and Teslian technology in concert, we can have a zero footprint as far as pollution is concerned and yet enjoy a level of energy and power that we currently enjoy. We need only the will and determination to carry it out, whether individually or collectively. We need to do it now to cut back on our continuing damage to the only planet we know that can support us. Green temple: India's Tirupati Temple has adopted a range of green technologies - and the shrine is now trading carbon credits. Many people are already in the dark ages with all that dumbing down. Worse; due to their reliance on the way things have been, they are as ignorant as new born infants in a world run by nature instead of civilization. Switching to alternative energies now will avert disaster, but those monopolies that run on fossil fuels for private gain will not allow this without a fight. I think a bigger crisis will result with the depletion of fossil fuels, no electricity! This will be the ultimate final result of civilization. Our dependency on electricity is unbelivable. Humanity will enter the Dark Ages. I recognize the point of hydrocarbons existing throughout the solar system, but that was not the point of this hub. As you correctly say, "fossil fuels" have been around since the beginning of the solar system and I add, probably longer. We know that the moon Triton is almost all hydrocarbons. However; if these things are not harmless, then my challenge to you is to drink a liter of crude. I know when I've siphoned gas, which is a refined product of crude oil, the experience is not one I relish. The taste is awful ans stays in your mouth for days. I don't recall being sick as a result, so there's another point. Now, as for burning coal, China has a solar dimming problem as a result. their local sunlight has been dimmed by up to 24%. Globally the effect due to atmospheric cycling is 2 to 4%. This has a direct impact on agriculture. Thank you for your comments. They help to put things into perspective. You are a well spoken, forward thinking, educated man. I'm surprised you're still buying into the flat-earth level thinking that "hydrocarbons and petroleum are derived from fossils." Hydrocarbons were a large part of the gasses that condensed to become the planets. And petroleum, along with hundreds of other long-chain hydrocarbon forms, have been detected on all our solar neighbors, and a number of their satellites. Why would Earth be the only planet to miss out on that? We'll run out of oil about the same time we run out of sunshine & sea-water. And as far as the "severe risk" of oil leaks? I'm listening on the news right now that the slick is getting harder and harder to find, because Nature is doing what it does, and eating the oil away. The Gulf is 660 Quadrillion -660,000,000,000,000,000- gallons of seawater. The BP leak is all of 1 part in 6.6 billion. Literally one drop in 660 million buckets. North American sea-beds leak 26,061,000 gallons into our oceans, yearly. Since the beginning of time! We couldn't match that kind of spillage if we tried. I'm encouraged to read about the awesome technologies you're hubbing on. Still, I don't want you to feel that hydrocarbons are bad for anyone, in any way. Geothermal energy provides almost half of Iceland's power sources and it is completely green, running on steam heat from water in contact with the nearby magma. The Pacific ring of fire provides many opportunities here. In BC, we have Harrison Hot Springs that is sourced from geothermal energy. Space based solar panels are already a reality and have been for some time, among them the ones powering the ISS. They also power a host of other satellites and space probes. 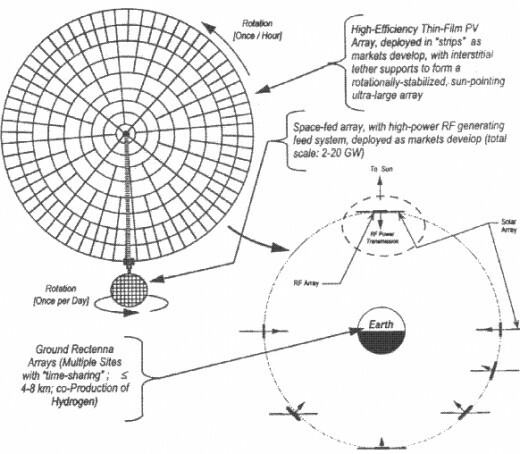 Giant reflectors could concentrate solar energy on megawatt generators of a few designs and then beam the energy by MASER to earth where it can be converted to cheap power. Teslaian technology is widely available in books, libraries and on line. He invented the concept of remote control that was used in his trials of remote control robot ships. In that case, there were no Tesla coils involved. The boat ran on batteries and was equipped with a radio control that operated the propeller and rudder. Remote radio control toys of all kinds are widely available and cheap. The use of hydrocarbons is an issue that concerns those of us who wish to preserve the environment. In particular, fossil fuels are non renewable and are a severe risk to the environment as the BP oil spill should have proven. Ethanol and like renewable fuels are also not without controversy as some of it takes away from food resources and drives up food prices. Space is full of energy that can be harvested. We are already familiar with solar cells using light and infra red. There are also abundant amounts of energy that can be derived from radio waves and the like. I have a hub on a radio wave accumulator that you might be interested in. I am eager to see Tesla coils powering remote electrical devices. If you have working models, I'm sure I could scare up a few private investors. I would LOVE to see Nuclear power plants dotting the landscape all across America, too. Can you imagine the economic boon such cheap electricity would provide? EVERYONE'S cost of living would go down, bringing down with it the costs of consumer goods. Thus increasing the buying power of the poor and middle class, and creating jobs at every level of society. That would also free up private investment dollars for research into all those esoteric energy sources you've mentioned in your Hub. I particularly like the space-based solar reflector idea. In the mean time, hydrocarbons are cheap, easily accessible, and infinitely renewable. And besides... All our technology is designed to use it, already. This is a very interesting article; I remember reading about the rivalry between Edison and Tesla back in the early 1990's. The statement about Iceland providing 40 percent of its energy needs on geothermal is fascinating; didn't know there was a country in the world that was able to take a chunk out of its energy needs with clean energy to such a large extent. Thank you for this article; I will be back later to read more.